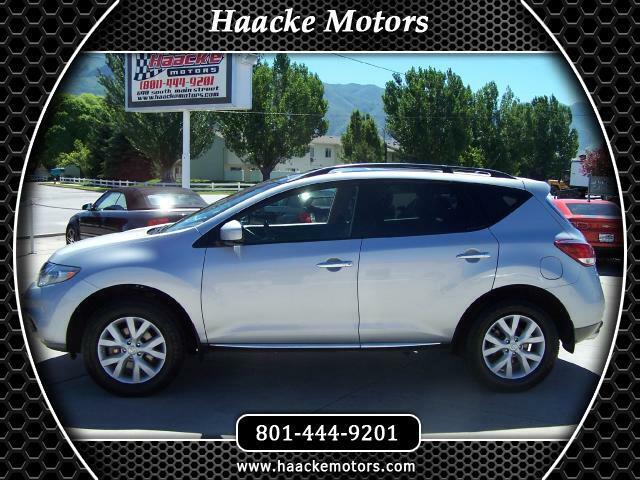 You will absolutely not find a better more well cared for and clean car than this fully loaded 2012 Nissan Murano traded in by one of our favorite customers!!! More info coming soon, see pics for more details! Fully serviced and ready to roll! See us on our website at www.haackemotors.com, AutoTrader.com, Cars.com, Carsforsale.com, KSL.com, Cargurus.com, CarFax Online, Listingallcars.com, Facebook and Instagram!